Spring and summer bring out the worst in some people, and utility scammers are on the prowl again. Please be careful and aware when you receive calls seeking utility payments. We encourage the public to be aware and cautious when those posing as utility workers call on the telephone or visit your home. Err on the side of safety and check with your provider before giving out any information or purchasing third party credit cards for payments. If it feels suspicious call us immediately to report the call or visit. We can verify the legitimacy of the person reaching out to you. 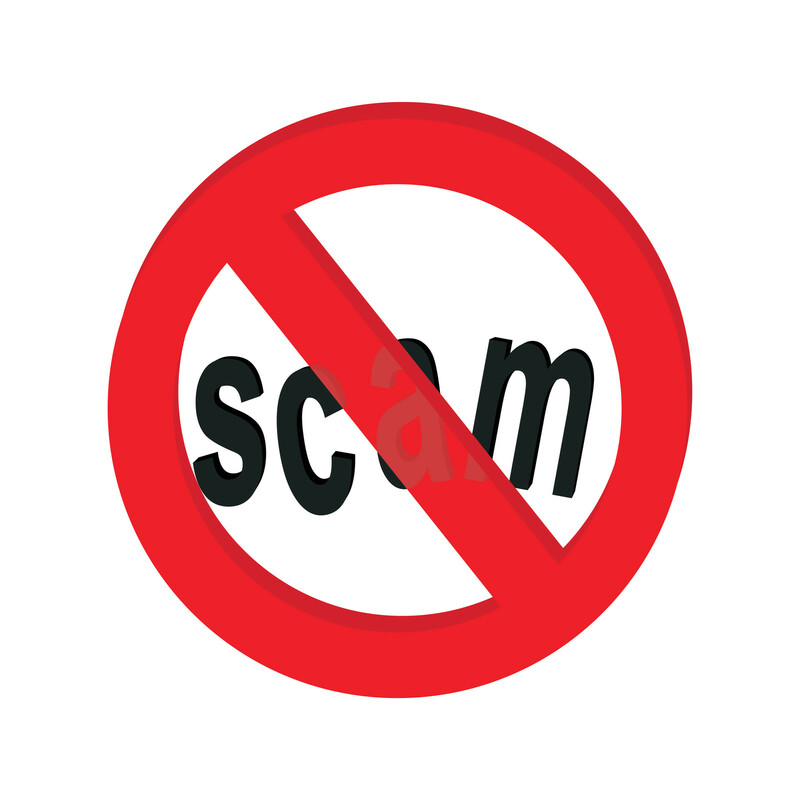 Electric Utility scams are back, be aware – know what not to do! Every three to six months scammers begin to make their rounds, frightening unsuspecting residents, and even businesses into believing their utilities will be disconnected if they don’t act now! You are encouraged to verify, verify, verify the source of these telephone calls. Please see the post below from July that explains Cleveland Public Power’s practices. Additionally, see John Funk’s article for information on other utilities. Utility scammers are at it again! Cleveland Public Power customers have recently been contacted with the threat of disconnection of their electric service if they did not call a toll-free number and make a payment using reloadable Debit Cards, and then reporting the card number to the caller. Unfortunately, they were successful in duping one customer. The customer became suspicious when they received another call a day later saying they had to pay another large sum. The second call prompted the customer to call CPP for verification. “This scam is targeting both residential and commercial businesses and while Cleveland Public Power will contact customers about their bills, we would not refer them to a third party payment option. Any suspicious activity like this should be reported to the Public Utilities Police at (216) 443-2426,” said Cleveland Public Power Commissioner Ivan Henderson. CLEVELAND – As families make last-minute preparations for the holidays, “The Grinch” disguised as telephone scammer is seeking to spoil the season. Cleveland Public Power has learned from customers that thieves are once again preying on utility customers to make a quick buck. This week, a commercial business customer was contacted and threatened with disconnection of their electric service by CPP’s competitor if they did not go to a local grocery store in Cleveland Heights and purchase a pre-paid card, and then call a toll-free number and make a payment to the Disconnection Department. Fortunately, the customers suspected something was amiss and contacted CPP’s Customer Service Center and reported the incident. News Advisory: Latest scam targets Commercial electricity customers! Thieves are once again preying on utility customers to make a quick buck. This week a Cleveland Public Power customer was contacted with the threat of disconnection of electricity if they did not call an “800” number and make a payment to the Disconnection Department. Fortunately the customer suspected something was amiss and contacted CPP’s Customer Service Center and reported the incident. The Department of Public Utilities Police Department is looking into this matter, and Cleveland Public Power is urging its customers to disregard these calls. In business since 1906, CPP is the largest municipal power company in Ohio. Today, CPP boasts 36 substations throughout the city and serves more than 80,000 residential and commercial customers. Cleveland Public Power remains strong, safe and viable as it strategically positions itself for the future. As one of the most reliable systems in the nation, CPP’s employees want its customers to know that they are committed to continuing to provide quality service for the next 100 years… you can Count on it! CLEVELAND – Thieves are once again preying on utility customers to make a quick buck. This week a Cleveland Public Power customer was contacted with the threat of disconnection of electricity if they did not go out and purchase a “Blue Card” to satisfy the debt. The unsuspecting customer did as told and is now out of a couple hundred dollars. The customer contacted CPP’s Customer Service Center and reported this payment only to learn that the utility does not have any record of the payment. The Department of Public Utility Police Department is looking into this matter, and Cleveland Public Power is urging its customers to disregard these calls. CLEVELAND – Today several Cleveland Public Power customers have received telephone calls from a man posing as a representative of Cleveland Public Power’s “Collection” Department and requesting $400 over the phone to prevent interruption of service. This is a scam.